Feel the beat! 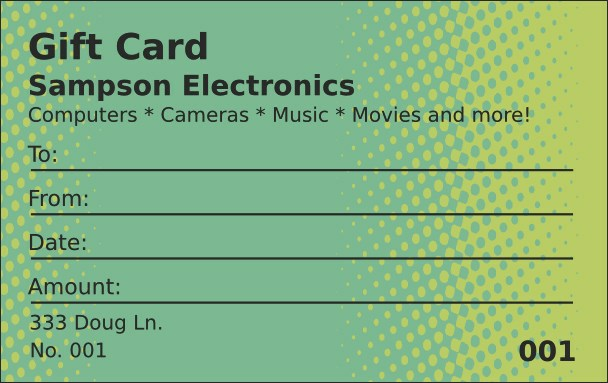 Light it up when you choose the Techno Green Gift Card with retro-futuristic font and bold, eye-catching colors. Look forward to electrifying sales when you start selling Gift Cards. Let your loyal customers convert their friends to your cause with Gift Card sales. Fill in the template with your information below and we'll print and ship them to you fast! Find easy-to-use ticket templates for high-tech times at TicketPrinting.com.